The La Source des Arcs residence opened for the first time last winter and offers the opportunity to stay in modern self- catered apartments in the highest village of Les Arcs. The apartments are very well situated near the cabriolet gondola linking 2000 to the resort of 1950 and offering various views across the ski area and mountain range. 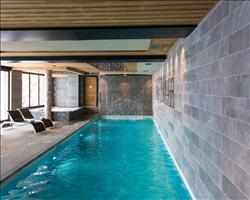 The property also boasts very easy access to the piste and is just a short walk from the local ameneties and ski school, plus the opportunity to unwind and relax in the fantastic spa facilities after a hard days skiing. All apartments have kitchen with oven or microwave, fridge, kettle, coffee maker and dishwasher. All living areas have balcony, satellite TV and FREE Wi-Fi..
2-room apartments (A2) sleep 2 people in a double bedroom with bathroom. 3-room apartments (C4) sleep 2-4 people in a double and twin bedroom, with shower and bathroom. Superior 3-room apartments (D4) sleep 2-4 people in a double and twin bedroom, with shower and bathroom and have South or East facing view. 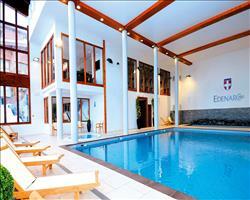 Larger apartments (F6) sleeping up to 6 people are also available, with 1 double bedroom and 2 twin bedrooms. Beds are made on arrival and towels are also included. Refundable deposit of €500 payable by credit card. We update La Source des Arcs Apartments (Arc 2000)'s details often, but facilities do change. e.g. some extras listed by the supplier as "free" or included might only be for the first time you use them, or for one time per party, then charged for further use. If any specific feature is essential to your holiday, make sure you ask us to confirm the details of it before you book your holiday. This package holiday to La Source des Arcs Apartments (Arc 2000) in Les Arcs, France departs Saturday 14th December 2019, for a 7 night stay on a "self catering" board basis. A local tourist tax (Taxe de Sejour or Kurtaxe) is levied by many councils in European ski resorts. It varies by standard and type of accommodation and is age dependent, so not everyone is charged. It's not included in the basic price of your holiday and is usually paid locally. For reference, the average charged in winter 15/16 was between 50p and £2 per person, per night.
. 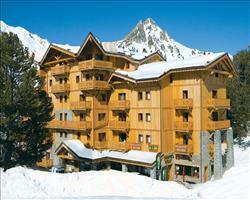 Ask for a quote when booking La Source des Arcs Apartments (Arc 2000). 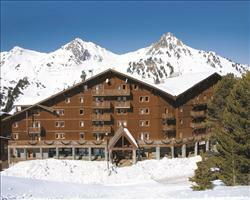 Apart-Hotel Eden Les Arcs France, Dover Ferry 14th December. 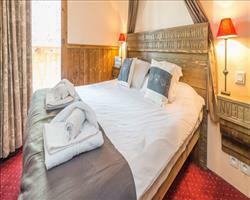 Chalet Julien Les Arcs France, Dover Ferry 14th December. Chalet Marcel Les Arcs France, Dover Ferry 14th December. Chalet Edouard Les Arcs France, Dover Ferry 14th December. 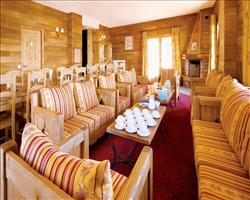 Chalet Maximilian Les Arcs France, Dover Ferry 14th December. Hotel Taj-I Mah Les Arcs France, Dover Ferry 14th December.